Could RDI’s Motion Amplification™ software help you add to the bottom line? Poor communication has cost on average $62.4 million per year in lost productivity, according to a Holmes report. In addition, poor communication is one of the top 3 reasons why employees do not like their jobs. Pictures are one of the most effective ways to communicate. Our brains process pictures in millionths of a second. That’s fast! A post on social media that contains a picture is 10x more likely to receive engagement (BMC). If pictures have proven to be so valuable imagine what data-rich video can do for your organization. When using the Iris M™ or MX powered by Motion Amplification™, you can produce a video that turns 2.3 million pixels in that camera into 2.3 million virtual sensors. In an instant, you can see the fault and easily communicate to everyone within the organization what the fault is. The fault and repair will mean something different to each person in the communication chain but there is no need to weave a different story to each person, just show them the video. When looking at the video you may see a base moving, engineering sees structural issues, the safety inspector sees a hazard, management sees potential lost revenue from downtime, but everyone sees the problem and the end result is the same: Just fix it. For the second year in a row, RDI Technologies has a product nominated as a finalist for the Solution Awards from Reliability Web. The Iris MX is nominated for both the Asset Condition Management Category and the Best Overall Category! Great two-part article published today by Teknovation and their Cheif Alliance Officer Tom Ballard on the growth of RDI Technologies. 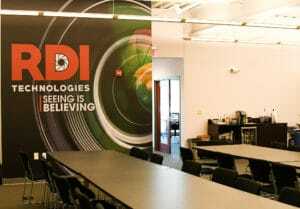 Announcing RDI Technologies Advanced Motion Amplification Training! 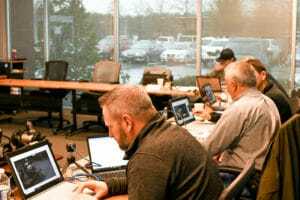 During the Basic Iris M™ Certification Training, you learned the basics of how to acquire Motion Amplification™ data and how to use the Motion Amplification™ Application to analyze data and create videos. You’ve had some time to use the system on your own and now you’re ready to take your skills to the next level. RDI’s Advanced Motion Amplification™ Training helps students cross the gap between knowing simply how to use the basic components of the system, to actually solving problems related to structures, rotating machinery, and piping. Contact Chris Wills at chris.wills@rditechnologies.com to register today! Are you currently dealing with a mechanical or structural issue? Bring your own data to share with the class and our experienced instructors will offer professional insight about possible problems and solutions. Students must have already taken the Basic Motion Amplification™ Certification Course and passed the Level I Motion Amplification™ Certification. Students should bring their own Acquisition Unit (with at least 50 GB of free storage space) to the class. Near the conclusion of the second day of training, students will be given an opportunity to take the Level II Motion Amplification™ Certification Exam. Students who pass this interactive written exam will be issued an official RDI Level II Motion Amplification™ Certification and will be eligible to have their name listed on our website as a Level II Motion Amplification™ Analyst. There is no added cost for the exam. Contact Chris Wills at chris.wills@rditechnologies.com to register for the next class! 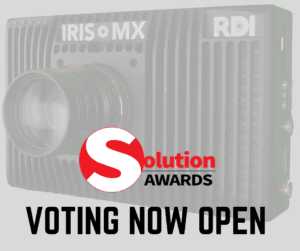 RDI’s Iris MX is Named as Finalist for the 2019 Prism Awards! 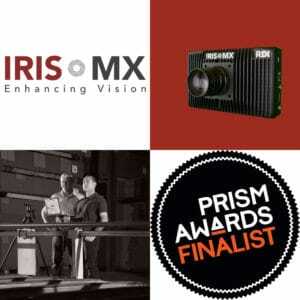 RDI’s Iris MX has been named a finalist for the 2019 Prism Awards presented by SPIE and Photonics Media. “This year’s Prism finalists represent the savviest and most innovative companies from the growing optics and photonics industry,” said SPIE CEO Kent Rochford. Established industry stalwarts will compete with disruptive startups at the Prism Awards ceremony and banquet during SPIE Photonics West 2019 in San Francisco. The awards ceremony, now celebrating its 11th year, recognizes industrial innovation in photonics in multiple categories. For the consideration of the 2019 Prism Awards, SPIE received 120 applications from 15 countries. The Iris MX from RDI Technologies expands upon its revolutionary Iris M product to open up the world of Motion Amplification to high speed applications. Like the Iris M, the Iris MX utilizes the millions of pixels in today’s modern cameras to measure deflection, displacement, movement, and vibration not visible to the human eye. “The whole team at RDI has worked tirelessly to get this product to the market and it is truly an honor for that work to be acknowledged by this year’s PRISM awards committee. We have been humbled and excited by how rapidly our product has been adopted and used by our customers to innovate the machine condition monitoring space in such a short period of time and are excited to expand that innovation to new markets over the next few years,” said RDI COO Jenna Johns. Click here to view all of the nominees. The Iris M utilizes the millions of pixels in today’s modern cameras to measure deflection, displacement, movement, and vibration not visible to the human eye. The Iris M software converts those millions of pixels into individual data points, measuring extremely small vibrations or motions with a high degree of accuracy. It then displays the results in an amplified video that brings the problems to life in a visual form. The Iris M covers a large percentage of faults at a plant, but now with the Iris MX, we can extend that range. The Iris MX utilizes the same software as the Iris M and is plug and play with current user’s software. RDI Technologies has combined the ability to reach 1,400 frames per second in HD resolution with our seamless user intuitive software opening up possibilities in the industrial market beyond current technologies. “The Iris M has revolutionized the way our customers do machinery maintenance in a way no one expected over the last two years,” said Jenna Johns, COO of RDI Technologies. “As the user base of the Iris M has grown, so has the use cases,” said Jeff Hay, CEO of RDI Technologies. The Iris MX is the result of that. The Iris MX is capable of seeing frequencies much higher than the Iris M and capable of imaging machinery in a large field of view at those higher frequencies. Faults typical in turbomachinery, blade pass frequencies and higher orders of synchronous machinery can all be imaged full frame. If you need higher speed, we have you covered”. SPIE is the international society for optics and photonics, an educational not-for-profit organization founded in 1955 to advance light-based science, engineering, and technology. The Society serves 257,000 constituents from 173 countries, offering conferences and their published proceedings, continuing education, books, journals, and the SPIE Digital Library. In 2018, SPIE provided more than $4 million in community support including scholarships and awards, outreach and advocacy programs, travel grants, public policy, and educational resources. https://www.spie.org. We are excited about IMC next week in Orlando! RDI’s CEO Jeff Hay will be giving a presentation with Ed Power from Goldcorp and a #MotionAmplification Workshop with Jim Berry, PE from Technical Associates of Charlotte. Plus stop by our booth #108 to see a live demo of the Iris M and Iris MX! RDI Technologies is excited to release the new spec sheet for the Iris MX! 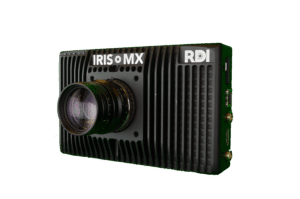 RDI Technologies new Iris MX expands upon its revolutionary Iris M product to open up the world of Motion Amplification to high-speed applications. Like the Iris M, the Iris MX utilizes the millions of pixels in today’s modern cameras to measure deflection, displacement, movement, and vibration not visible to the human eye. It is available as an add-on with plug and play compatibility for current Iris M users. For new customers, the Iris MX includes all Iris M hardware and software to cover the full frequency range with ease. The Iris MX will begin shipping by the end of 2018. 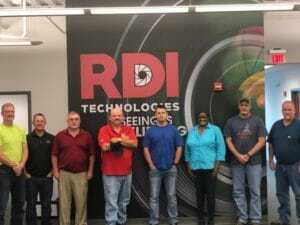 KNOXVILLE, Tenn. – October 22, 2018 – In just the past year, RDI Technologies’ flagship Iris M product has changed the way industrial and manufacturing facilities look at operations. The Iris M, through its proprietary processing algorithm, enables companies to see the invisible. 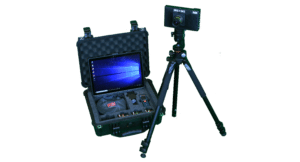 The Iris MX will expand on these revolutionary capabilities and allow industrial customers to visualize and measure the entire spectrum of faults. For more information about RDI Technologies, The Iris M, or the new Iris MX, visit rditechnologies.com. Introducing Motion Studio for the Iris M! We are very excited to announce the newest update to the Iris M, Motion Studio! The new Motion Studio Update gives you the ability to create more powerful videos with Motion Amplification. Add spectra and waveforms to your videos, show multiple views from a single screen, and edit your videos straight from video editor screen. Great training class this week with our director of training Christopher Wills and the team from Oak Ridge National Laboratory!